The plastic necklaces were undoubtedly mainstream back in the day, even adorning the necks of cast members of '90s classics She's All That and Buffy the Vampire Slayer. Celebs who love '90s style, such as Behati Prinsloo, Willow Smith, and Emma Roberts, have been spotted sporting the necklace on occasion over the past couple of years, but with the new fast-fashion stamp of approval, it's decidedly a thing (again). Want to try it out? Pair one with your favorite vintage tee and denim cutoffs, but keep the rest of your accessories simple and modern to avoid a costumey appearance. With prices ranging from $5 to $16, this might be the year's lowest-commitment accessory trend. 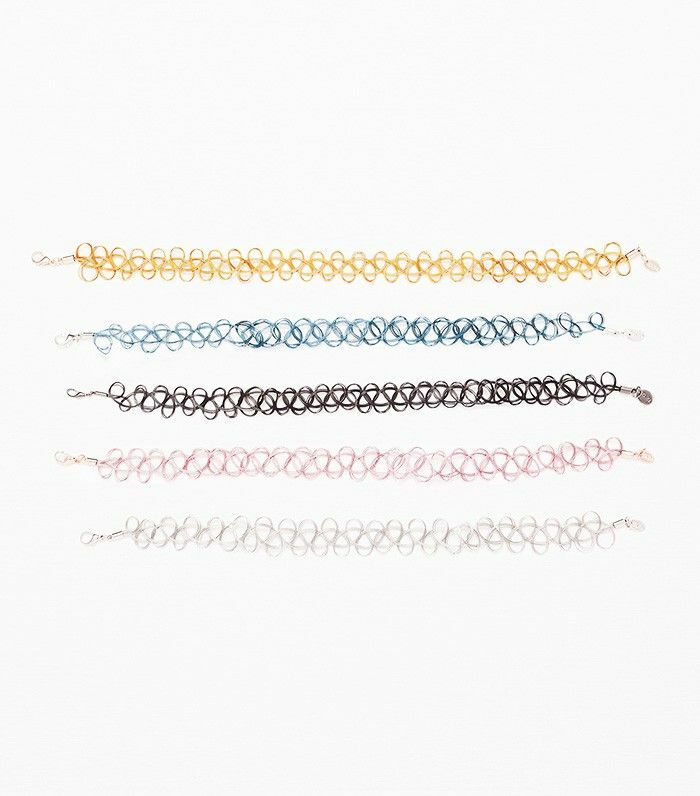 Did you wear tattoo choker necklaces in the '90s? Would you wear one again? Tell us in the comments!